William Tyndale's first translation of the New Testament (1526) was printed in Germany, savagely suppressed in England and eventually led to his execution. Yet it also makes him the single most important figure in laying the foundations for the English Reformation. The vigorous direct English was substantially incorporated into the Authorised Version of 1611, and it made the New Testament available for the first time - in Tyndale's famous determination - even to the 'boy that driveth the plough'. The Obedience of a Christian Man (1528) boldly develops the argument that ordinary believers should take their spiritual sustenance direct from Scripture, without the intervention of (often worldly and corrupt) Popes and prelates. Its vivid discussion of sacraments and false signs, the duties of rulers and ruled, valid and invalid readings of the Bible, makes the book a landmark in both political and religious thinking. This fine example of English prose also raises, even today, some powerful questions about the true challenge of living a Christian life. - Publisher William Tyndale published The Obedience of a Christian Man two years after he presented his 1526 English translation of the Bible, a forbidden undertaking, which eventually led to his execution. His vigorous, direct translation of the New Testament was intended to make it accessible even to the "boy that driveth the plough". In The Obedience of a Christian Man, he articulates his religious principles in what became one of the most important publications of the first phase of the English Reformation. He boldly develops the argument that ordinary believers should live directly according to Scripture without the intervention of worldly and often corrupt popes and prelates. This fine example of English prose raises, even today, powerful questions about the challenge of living a Christian life. - Publisher One of the key foundation books of the English Reformation, The Obedience of a Christian Man (1528) makes a radical challenge to the established order of the all-powerful Church of its time. Himself a priest, Tyndale boldly claims that there is just one social structure created by God to which all must be obedient, without the intervention of the rule of the Pope. He argues that Christians cannot be saved simply by performing ceremonies or by hearing the Scriptures in Latin, which most could not understand, and that all should have access to the Bible in their own language - an idea that was then both bold and dangerous. Powerful in thought and theological learning, this is a landmark in religious and political thinking. About "Obedience of a Christian Man"
William Tyndale published The Obedience of a Christian Man two years after he presented his 1526 English translation of the Bible, a forbidden undertaking, which eventually led to his execution. His vigorous, direct translation of the New Testament was intended to make it accessible even to the "boy that driveth the plough". In The Obedience of a Christian Man, he articulates his religious principles in what became one of the most important publications of the first phase of the English Reformation. He boldly develops the argument that ordinary believers should live directly according to Scripture without the intervention of worldly and often corrupt popes and prelates. This fine example of English prose raises, even today, powerful questions about the challenge of living a Christian life. 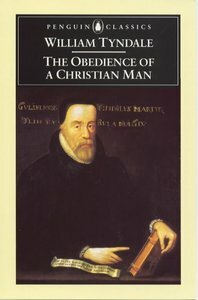 One of the key foundation books of the English Reformation, The Obedience of a Christian Man (1528) makes a radical challenge to the established order of the all-powerful Church of its time. Himself a priest, Tyndale boldly claims that there is just one social structure created by God to which all must be obedient, without the intervention of the rule of the Pope. He argues that Christians cannot be saved simply by performing ceremonies or by hearing the Scriptures in Latin, which most could not understand, and that all should have access to the Bible in their own language - an idea that was then both bold and dangerous. Powerful in thought and theological learning, this is a landmark in religious and political thinking.